I have been hoping for a protest like this for years and was delighted to be there. Here is my next suggestion: Transport for London TfL should set a target for the percentage of journeys to be made by cycling and then (1) raise the percentage of the transport spent on cycling to that level eg 30% (2) ensure that the same percentage of TfL staff commute to the TfL office by bike. Here is an excellent BBC news report on the demo in which Donnachadh McCarthy an organiser of the Stop Killing Cyclists Campaign, calls for 10% of the TfL budget to go on cycling (compared to 35% in Holland) and makes the excellent point that the Board of TfL is ‘big businessmen’ – with no representatives of pedestrians or cyclists. I see this as a key point. It is likely that TfL staff often cycle to work and support cycling. This is less likely to be the case for big businessmen. Boris: please remember that you are the only politician I have voted for who has ever been elected: now is the time to come good: organise a London Cycling Summit and cram the board of TfL with die-hard cyclists. Please re-read the history of Lloyd George’s victory over the House of Lords. He asked “Should 500 men, ordinary men, chosen accidentally from among the unemployed, override the judgement – the deliberate judgement – of millions of people who are engaged in the industry which makes the wealth of the country?” The 1911 Parliament Act was passed only when King George V said he was willing to pack the House of Lords with Liberal peers to ensure the vote would swing their way. Bring on the cyclists. The November 2013 event could be a great precursor for a full-scale event in The Mall in 2014, remembering Martin Luther King and the March on Washington of August 28, 1963. The 2014 event should be on the same weekend as another London cycling event eg the Prudential Ride on Sunday 10 August 2014. It is part of the Mayor of London’s annual festival of cycling. This entry was posted in Cycle planning, landscape planning, Sustainable design on 29th November 2013 by Tom Turner. I like the Goodreads website, though I am a little sorry that Amazon (which I also like) has bought it. 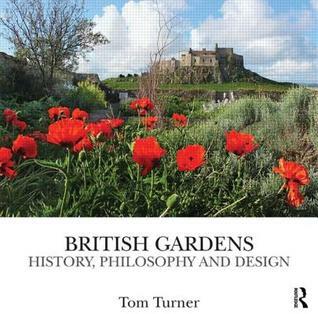 If you register an interest in my book on British garden history between 29th November and 14th January they will put your name on a list from which they will choose the recepient of a free copy. Good luck! Giveaway ends January 14, 2014. I have also started Goodreads Groups in which to discuss books on Garden design history and Landscape architecture and planning – with the aims of encouraging the preparation of good reading lists and of stimulating discussion about books. This entry was posted in Garden Design on 29th November 2013 by Tom Turner. This entry was posted in Garden Design on 28th November 2013 by Tom Turner. I have praised Kongjian Yu’s work before and much enjoyed his lecture to the HGSD (above). I particularly like his advice to ‘make friends with the flood’ and to design for the ‘integration of contemporary art and ecology’. But I am having doubts about my call for him to be appointed Chief Technical Officer to the The Ministry of Housing and Urban-Rural Development 住房和城乡建设部. For sure, he would be very good at the job – but the landscape architecture profession has greater need of him. It is bad mannered of me to criticise Kongjian after he quotes me in his lecture, but there are two historical points I would like to correct. First, the history of landscape architecture in east and west can be traced back for thousands of years – though its name is but 185 years old. Second, the planning of western gardens and parks ‘for ornament’ dates from c1700 and is now in decline. Older parks and gardens were always planted for food. So here is an invitation: next time Kongjian Yu is in London I would be delighted to show him round my local park and the new building for the University of Greenwich Department of Landscape Architecture. Greenwich Park was designed in 1660 primarily for food production – and it still produces a large quantity of food, much of which is collected by ethnic Chinese. So it is very appropriate that the roof of the new school has the production of food as one of its main design aims: it will be used for research into the use of living roofs for food production and other sustainable purposes. This entry was posted in Asian gardens and landscapes, context-sensitive design, Garden Design, Sustainable design, Sustainable Green Roofs on 26th November 2013 by Tom Turner. We are pleased to publish the hitherto-unseen concept which so evidently inspired Lord Norman Foster’s pair of Thames Boomboxes. As previously agreed, Lord Norman does ‘an awfully good box‘. His heart is in the right place: he speaks with enthusiasm about urban design and works with good landscape architects. The problem, I fear, is that his head is in the wrong place. He sees buildings as objects, not as the creators of space. His own office (the left-hand building, above) is a fine box. But, like a hifi box or another consumer product, it could fit equally well in any context. There is nothing-London and nothing-Thames about it or the curvy adjoining residential boombox – except of course for its wannabe name: The Albion. The above photograph was taken on a warm day in late summer. Re-visited last week a howling gale was being funneled through the arch under the Albion. The ambient temperature was 11C and, with wind-chill, felt like -1C. So, while perfectly able to admire Foster and Partners architecture, I condemn this example of the firm’s the landscape architecture and urban design. The half-doughnut building faces due north, so that its wings keep out all sunlight except for mid-day in mid-summer. This is not my idea of good conditions for enjoying a good outdoor life beside a great river. 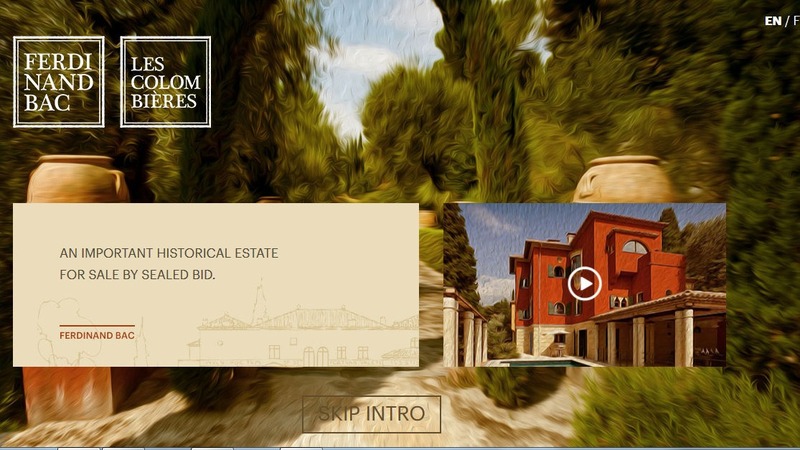 This entry was posted in context-sensitive design, Landscape Architecture, London urban design, Urban Design on 24th November 2013 by Tom Turner. The people you represent ride bicycles. They and do not want them to be stolen and they do not want to hang them from the Juliet balconies you have allowed to be built (inset photo, top right). Your council’s riverside path is 36 feet wide (=10,973m). It has hardly any users. This is a waste of land. The heavily used riverside footpath in Maritime Greenwich is called the Five Foot Path and is 5′ = 1.524m wide. Your council still employs a lot of town planners. They have powers which could be used to secure good urban and landscape design. Since they continue to permit unustainably bad urban landscape design, you should sack them. The reason your Council should have landscape architects on its staff is not to do design work. It is to ensure that planning applications have appropriate landscape conditions attached to them – so that public goods can be secured through the planning process. 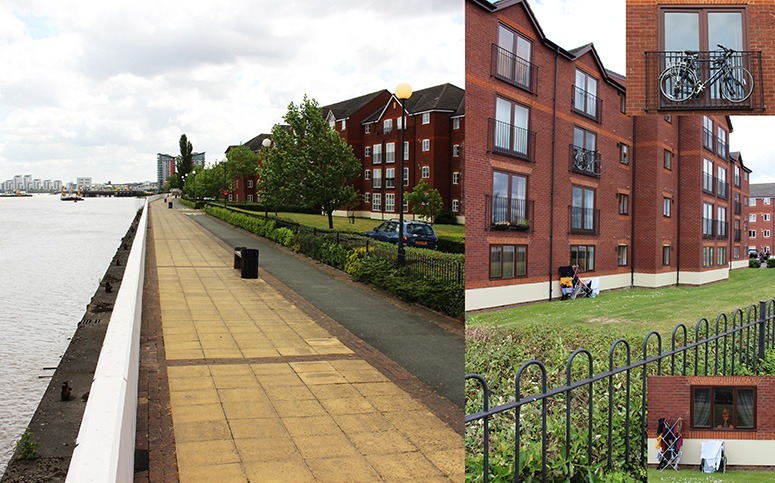 The town planners who do this work at present do not have the necessary skills in design, construction, planting or the social use of small outdoor space in urban areas. Think about it: if either of you has a heart attack, do you want a gynecologist to look after you? If your car needs to be repaired, would you take it to a vet? If your house has subsidence, would you cal for a decorator? I guess not, so why not employ landscape architects for landscape architectural work? This entry was posted in Garden Design, Landscape Architecture, London urban design on 15th November 2013 by Tom Turner. Listening to Eddie Mair on Radio 4 I often think ‘Eddie is Britain’s Best Broadcaster, ever’. He towers above the entire Dimbleby family as the Shard towers over London. Well, for several years Eddie has been chatting with one of Britain’s nicest gardeners: Alan Power looks after Stourhead. Eddie went to Stourhead Garden today and spent two and a half hours walking round with Alan. It was a vintage disappointment. 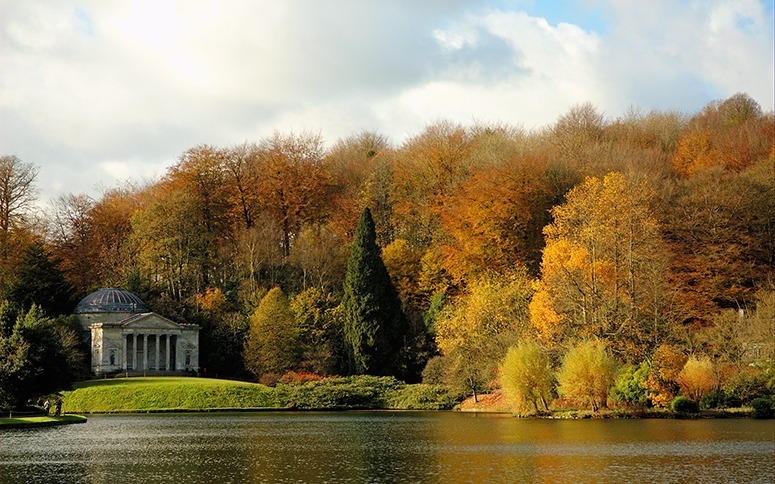 Alan mentioned several times that Stourhead is a work of art and that it has many temples. Eddie missed the point and was interested only in the trees and the autumnality – so we kept coming back to Tulip Trees and Maples. It was like walking round St Paul’s Cathedral and talking about the materials and the paint colours – interesting enough for specialists, but not the main point for a high profile discussion. Reyner Banham observed that ‘The purely visual aesthetic of Stourhead, free of sentimentality and allusion, is what puts it in the class of European masterpieces… in a manner that escaped Capability Brown for most of his life’. I do not know why Banham thought Stourhead ‘free of sentimentality and allusion’ but he is surely right about it being a masterpiece and a work of art – and there are only a handful of gardens in this category. Don’t get the wrong idea: I am very interested in why, for example, TS Eliot wrote ‘Let us go then, you and I’ instead of ‘Let us go then, you and me’ but if I were going to present Eliot to a mass audience on Radio 4 then I would not take this as the most important point about either him or J Alfred Prufrock. Let’s hope Eddie Mair returns to Stourhead with a determination to understand its importance as a work of art. This entry was posted in Garden Design, garden history, Garden Visiting on 1st November 2013 by Tom Turner.